I spoke to your Service department yesterday who asked what the issue was with a Kowa Fundus Camera. Your engineer then had a great chat with our optom to help us out. I just wanted to formally thank him for his help & assistance. Not often do you receive such great service nowadays & it was refreshing & very much appreciated. I’m sorry that I don’t have his name to thanks personally but would be grateful if you could pass this on. Many thanks Gillian for your kind words. The engineers name is Mat Norman for your reference. William Gourlay Ltd Finds our service refreshing! I purchased equipment for our new practice after visiting BiB’s stand at Optrafair. I was impressed by the level of staff service at the show – despite being extremely busy, they gave me their undivided attention and thorough demonstrations of all the equipment I was interested in. Their service from that initial enquiry through ordering, arranging installation and post installation support has been excellent. I would recommend BiB to anyone who is looking for a long term relationship with their supplier and a professional after sales service. During the planning and construction, of our new Optometry clinic. I had contacted BIB, with the possibility of the company supplying and fitting out two cubicles and pre-screen equipment. and willing to accommodate our requirements, from ordering through to completion, ready and able to fit in with our timetable. ensuring their equipment’s performance is at it’s optimum. Almost 2 decades of your help and we’ve never once praised you for it, so I think it’s about time. Although the following is a broad and sweeping statement, I have yet to be proven wrong. Originally, I first met the owner, Tim Baker, while I was starting my career/pre-reg 1999, which happened to also be the very early days of his business venture. 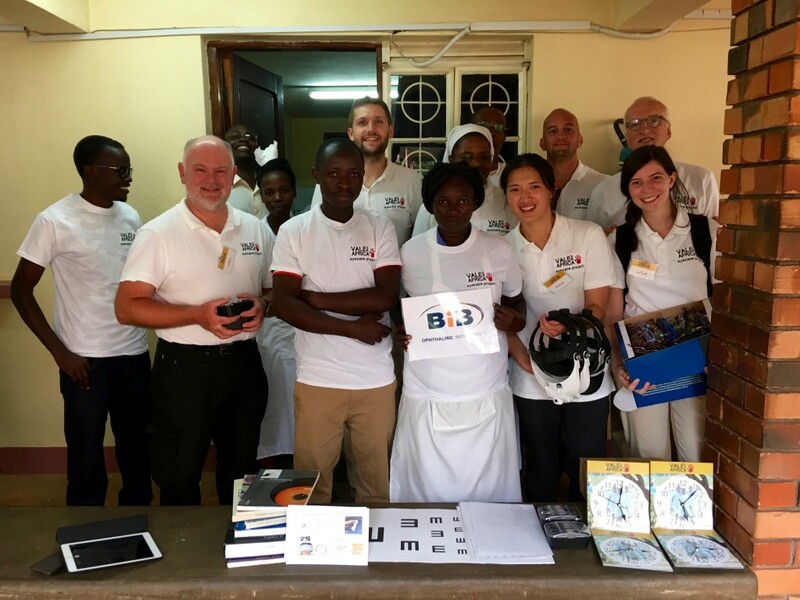 Over the ensuing decades, I have dealt with all of the well-known suppliers available to our industry, none of whom have proven to be as reliable, genuine and up-front about their products & services as BIB. Whilst the rest are good in their own right, BIB stands tall amongst them. At no point during these decades did I ever find any manner of sales tactics being employed to sway my decisions. When discussing the purchase of new equipment, every valid point, including bad points, is mentioned so that no surprises would ensue after the purchase; this is essential information, yet how many suppliers (in any trade) will offer this level of honest service? It is for these reasons that I have no hesitation in dealing with the BIB team and would wholeheartedly recommend them to all. As a result, nearly every equipment I have made a decision to purchase, whether refurbished or brand new, has been from them, simply because they have proven to be better than their competitors every time. I genuinely do not recollect being dissatisfied at any point, even when things inevitably do fail years after the purchase was made and they would still offer help to remedy the problem. Their collective knowledge and guidance is extensive and their service remains unmatched. There have been several situations where I could have been disappointed, but they have exceeded my expectations every single time. With this in mind, I will continue to recommend them to every one: you won’t be disappointed, because even if/when your equipment does eventually let you down, BIB won’t. We are a busy independent practice in East Hertfordshire. We first came across BIB optical shortly after moving to a larger premises in 2008. 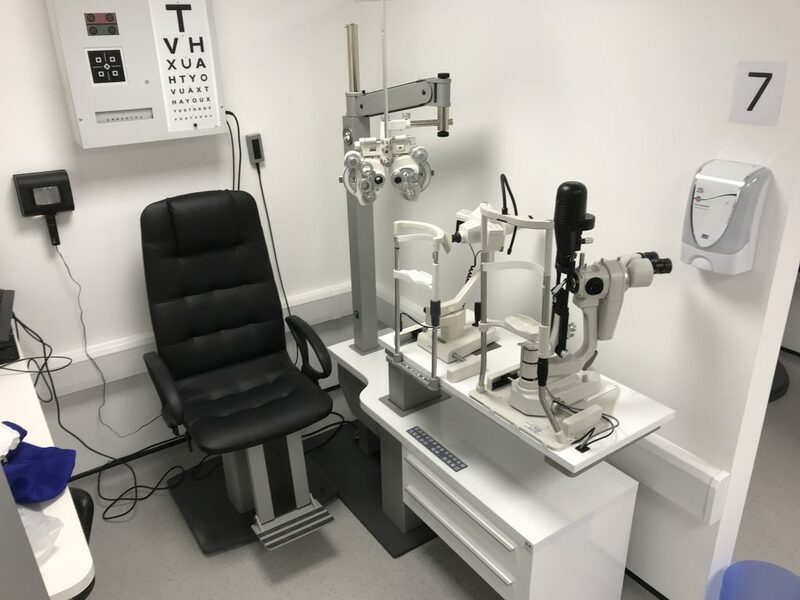 We needed a second hand Henson field screener for a new test room, preferably one to match our existing one for ease of use.We were searching for a new supplier and found BIB from an advert in The Optician. Tim Baker was our contact and he could not have been more helpful. He sourced exactly what we required and installed it for us to fit in with our moving schedule. As this came at a particularly busy time for us we were hugely grateful. After such a good start we have used BIB to provide us with a lot of equipment, both new and second hand. They are always ready to listen carefully to our needs and to meet them as closely as possible. When they install equipment they are very empathetic to what we want and really work hard with us to get the details right. Unfortunately for them I am a bit of a stickler for detail, they are yet to let me down!Having established such a good working relationship with them, we more recently signed up to their annual equipment service. Again, they are very knowledgeable, don’t make a fuss and are very reassuring to have in the practice.I am involved with organising CET training evenings for the Hertfordshire local optical committee. 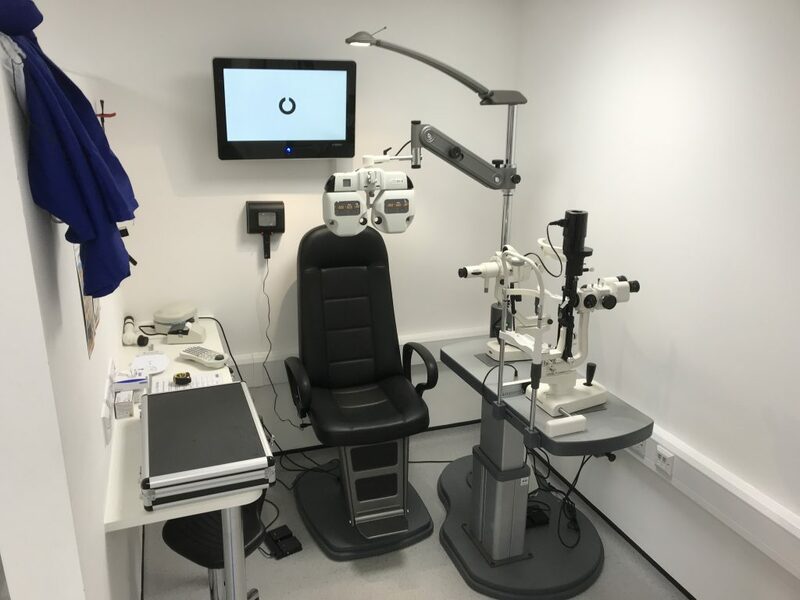 On several occasions now, BIB have very generously kept their premises open late at night to provide a location where we can carry out OSCEs for all the optometrists in Hertfordshire. It is with very good grace that they have stayed back well beyond 10pm to allow us to finish all the candidates. We are very grateful to have such a good and reliable supplier. I have purchased many instruments over the years from BIB, their quality of service never fails to impress. Consistently reliable, extraordinary level of post sales service and technical know-how,gives me total confidence in my purchases. It does not matter how big, or small the purchase, how large or small the technical query, they sort it with such speed, courtesy and attention to detail that I would only make my practice purchases with them. Staff are delightful to deal with throughout the company. 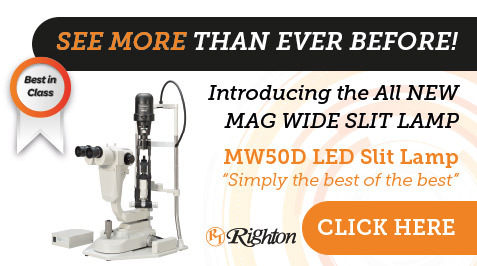 I have just bought my new slit lamp form BIB, the Righton MW50D . It has astounding optics and the field of view is the best I have ever seen. With really good LED illumination & optics, there is little to go wrong. I travelled with Ted and James from Arbuthnots to Uganda last week. 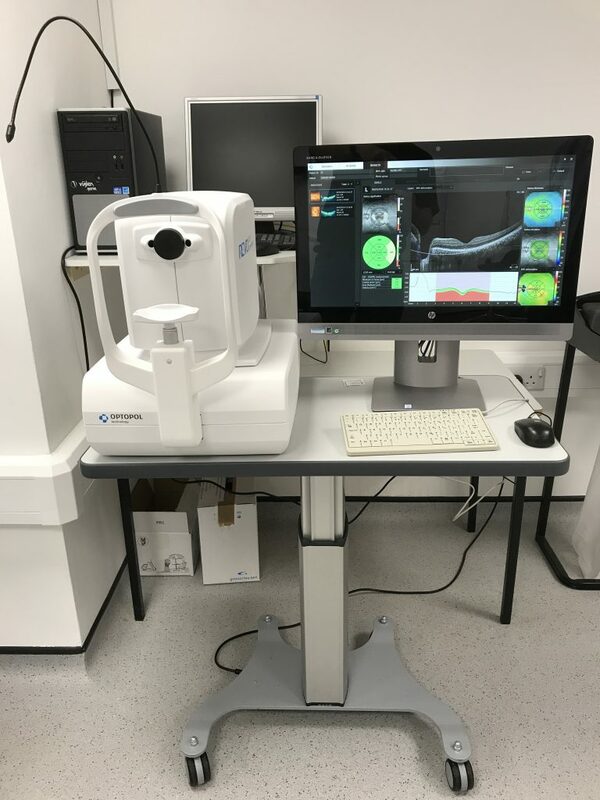 The eye hospital were very excited to receive their new slit lamp. 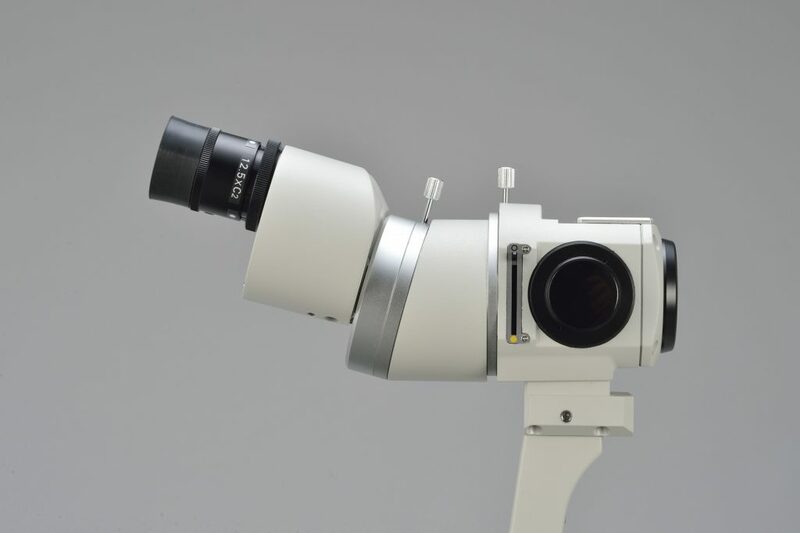 I was surprised that they had quite a number of slit lamps but those I used were in poor condition so a replacement will be very useful. So rest assured that your donation will be put to good use. I am sure Ted has thanked you on behalf of Vale for Africa. If you have any equipment in future that you think might be useful to the BEH and are willing to donate, please let us know so we can work out how to get it to them. I hope you all had a good weekend. I went to see Mr Khan from Mango Optical last week. I just thought you would all like to know how highly he spoke of you. He said you were really easy to deal with and couldn’t have been more helpful. It’s always nice to go and see happy customers! Account Manager – Scotland, Northern Ireland, Northumberland, Durham, Tyne & Wear, Cleveland, Cumbria and North Yorkshire. We would like to thank you all for your excellent service, advice and support in opening our new practice. We have worked closely with many companies through this process and your team have surpassed themselves. We appreciate your service and will learn from your excellent customer care. Every time i have dealt with you guys its always been a good experience. Also my current autorefractor that i purchased from you guys has been spot on. 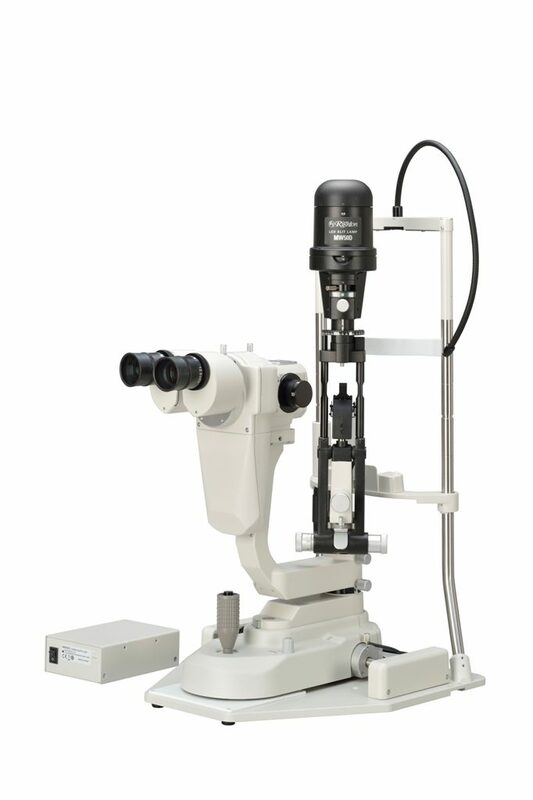 It is actually a very impressive product especially with regards to not over minusing patient.’s which is a common flaw in autorefractors. I know you may not want to hear this but they managed to save my old table but it left my very impressed with their service. These guys did all they could do to save my old table even though they had a brand new table sitting in their van which would have been easy to install and made you guys more money. What this tells me is you are genuine and much more interested in my custom knowing that good service will mean I am justified in always coming back to you when I need more kit or recommending you when anyone asks. Rest assured my table will not last forever and when it goes down next I’ll be able to relieve you of any one you have in stock and will look forward to doing good business in the future.